The few paragraphs quoted below show provide an insight into the formation of the ARC. Enthusiasts will enjoy the glimpse of secret missions that were carried out by a select group of aviators. ARC had changed considerably since its official start in September 1963. Conceived as a covert airlift wing to infiltrate General Uban's commandos into Tibet in the event of renewed hostilities with China, ARC began with an aging fleet of C-46 transports provided courtesy of the CIA. But as the frontier ceasefire held, ARC's original raison d'etre started to waft away. Showing flexibility, the CIA and Intelligence Bureau assigned new missions to the unit. In 1964, one of its C-46 airframes was packed with hardware for use as an electronic intelligence (ELINT) gathering platform. Flying long sorties along the Tibetan border, this ELINT bird collected Chinese radar signals for subsequent translation and analysis. 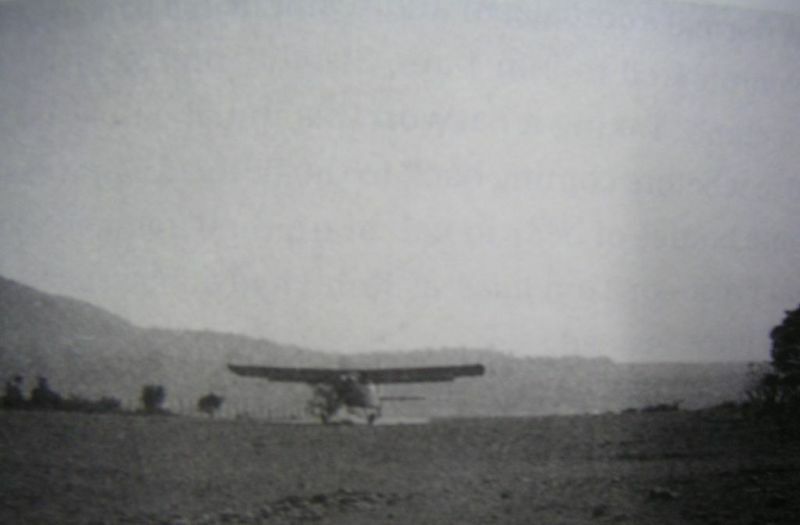 ARC also flew supply missions for isolated paramilitary outposts along India's northern border. Some of these flights were conducted by the U-10 Helio Courier, a single-engine light plane known for its short takeoff and landing (STOL) ability. The CIA had used the Helio to good effect in support of guerillas it was sponsoring in the highlands of Laos. Without exaggeration, it could land at unimproved runways the length of a football field. The CIA also supplied ARC with a unique twin-engined variant of the Helio, appropriately known as the Twin Helio. It had first been flown in 1960, and only five had ever been built. One had been supplied to a CIA proprietary in Nepal, and two had gone into the ARC inventory. Though the agency's own pilots never liked it much, the Indians gave the Twin Helio high marks. "It was more stable on landings than the regular Helio," said one ARC pilot, "and it had the added security of a second engine." By early 1965, ARC added its first rotary-wing aircraft. But instead of coming from the CIA, the Mi-4 choppers were offered by the Soviet Union. When it learned that Moscow was trying to impinge on its territory, the CIA was initially miffed. But because Indo-U.S. relations had hit something of a rut at the time, and the United States was not budgeting any further hardware donations of its own, Washington had little choice but to mute its protests when the Soviet offer was accepted. The Nanda Devi operation was set to make heavy use of most of the ARC fleet. Because of the difficulty in reaching the Sanctuary via the Rishi Ganga gorge, aerial options were the only efficient means of supplying the expedition with food. 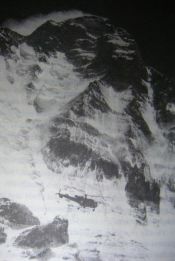 ARC officers calculated the most of the provisions could be free-dropped or landed by the Mi-4 choppers. The Twin Helio, meanwhile, would provide a shuttle between New Delhi and a staging base close to the Sanctuary. 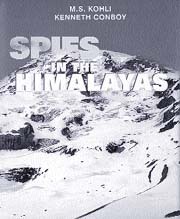 The Twin Helio was also selected to provide Kohli's requested aerial reconnaissance of Nanda Devi. Flying the aircraft would be Jim Rhyne. A top-rated STOL pilot, Rhyne had gained a stellar reputation while flying single-engine Helios over the mountains of Laos for the CIA's proprietary, Air America. In late 1963, he had come to India to provide transition training for the first batch of Helio pilot candidates in ARC and had returned periodically to offer instruction on the Twin Helio. Rhyne departed on his reconnaissance from New Delhi's Palam airport, then headed northeast for a little more than 200 miles. There were clear skies for most of the trip, making for a singularly uneventful flight. But just short of his target, a massive cloud bank loomed. Used to the mix of mountains and inclement weather while flying the skies of Laos, Rhyne plunged into the cumulous wall without hesitation. But the deities, it seemed, were determined to shield their goddess from prying eyes. No sooner had he entered the cloud than a single bolt of lightning slapped the plane. Recalled Rhyne: "The radio went out. The frame was magnetized so the compass locked at 120 degrees, rendering it useless. The controls were still responding, so I reversed direction to head out of the soup and make a dead reckoning back toward New Delhi." Rhyne's instincts proved correct. Working his way out of the clouds, he came in low to the ground to get his bearings. Eventually recognizing some landmarks, he steered toward Palam and made a bouncy landing. A quick inspection of the outside showed how lucky he had been. Various rivets had been knocked out, an antenna was dangling on the ground, there were scorch marks on the tail, and one of the tires was discoloured. Most shocking of all was the condition of one of the landing struts, which looked like it had been riddled with welding spatter. After reviewing the damage, ARC quietly agreed that a reconnaissance flight was not a good idea after all. by M.S. Kohli and Kenneth Conboy. Pages xi + 226, Rs 395. © Harper Collins Publishers India, New Delhi. In 1966, the U.S. Air Force had nearly a dozen air rescue helicopter detachments scattered throughout Europe. Designated primarily for emergency contingencies around their respective air bases, these units were equipped with the HH-43B Huskie. In the world of rotary-wing aircraft, the Huskie was the antithesis of aerodynamic beauty. It had twin intermeshing rotors positioned overhead, a truncated tail, four stubby struts, and a box shaped cabin. Plus, it had almost no range; for long distance rescues, the crew had to carry gas drums from the cargo sling and pump them by hand through a chamois filter. But this ungainly steed did have one significant attribute: it performed rather well in high-altitude conditions. This is what appealed to the CIA, which in midsummer forwarded an appeal for the loan of a pair. Processing the request, the Pentagon quietly cut classified orders for a single USAF mechanic, Staff Seargent Anthony Valenzuela, to leave his posting at Moron Air Base, Spain, for a temporary assignment at Laon Air Base near Paris, France. At that time, Laon was in the process of being closed down, and base officials were told to prepare a pair of Huskies for a classified mission. Valenzuela's job was to strip them of all nonessential items and install oxygen equipment. It took him a week to remove the back seats, rear clamshell doors, and any other amenity not vital for flight. Lightened as a result, the Huskies' ability to fly at high altitudes was theoretically enhanced. Both modified choppers were then loaded into a C-124 Globemaster cargo plane and rushed west across the Atlantic. After meeting up with a crew that put them through a pro forma flight test, they were put back in a plane and shipped to New Delhi. The first week of August the choppers were flown north on a final leg to a dusty riverside airstrip. Flight Lieutenant Suri, one of the ARC pilots flying the Mi-4, stepped forward and extended a hand. "Welcome to Gauchar." An IAF Alouette takes off under the shadow of the majestic Nanda Devi. IAF was involved during extraction from the Sanctuary. October 21, 1965. An Aviation Research Centre (ARC) Helio lands at Kalsi airstrip, during supporting operations for the Nanda Devi mission. 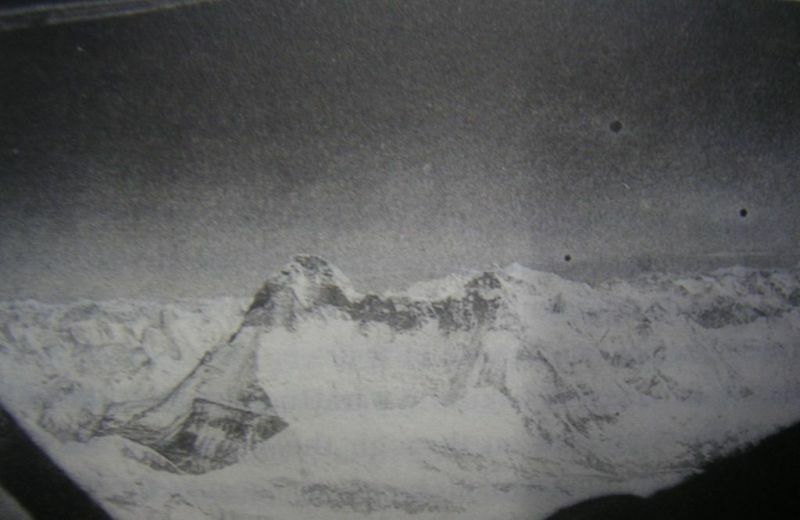 Nanda Devi photographed from a Twin Helio on April 26, 1966.